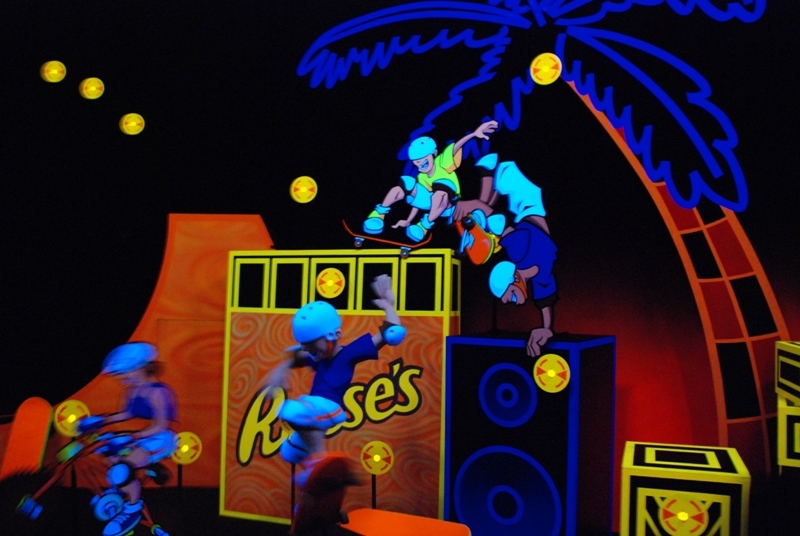 As of right now, the Reese’s Xtreme Cup Challenge is an interactive dark ride where passengers shoot targets and rack up points. The ride is manufactured by the Sally Corporation, though in my opinion, it is admittedly one of their weaker shooting dark rides. The animatronics and scenery are in desperate need of an update, and despite coming out in 2006, the ride feels like something that was built in the 1990’s. With today’s announcement, it is entirely possible that this ride will be getting a retheming. Based on the released picture, it will likely receive a new spy theme. Perhaps passengers will have to thwart a chocolate and peanut butter heist in Hershey’s factory. There’s no word on if the Sally Corporation will be involved with the possible refurbishment, but if they are, we can certainly expect to see their new state-of-the-art dark ride effects. Such effects could include screens that interact with the ride vehicles and more elaborate and colorful props like those found on Sally’s Justice League dark rides in the Six Flags parks. While the park may not be adding a big, new, thrilling attraction next year, the idea of fixing up and modernizing one of their existing attractions is very promising. 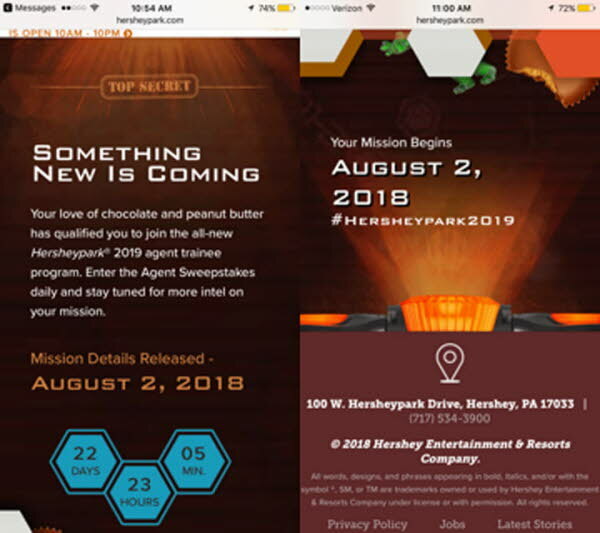 It shows that Hersheypark values the presence of a dark ride and is eager to make it more presentable to park guests. A refurbishment like this would absolutely get a big thumbs up from me.